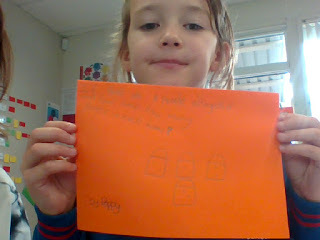 "There are 6 people and three houses. 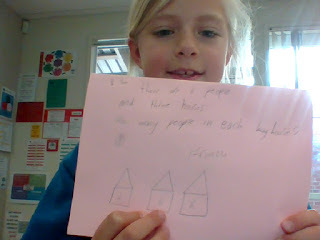 How many people in each house?" "In the school there were 6 ipads and five classes. How many ipads altogether?" " If there are 8 people altogether and four homes. How many people in each home?" 6 people divided by 3 houses, makes 2 people. I really like the way Oliver's question was interesting. 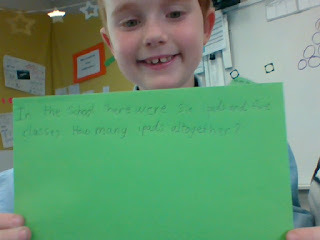 He asked about how many ipads are in the classroom? If there are 6 classrooms and in each classroom there are 5 ipads. How many are there altogether? There are 30 altogether?